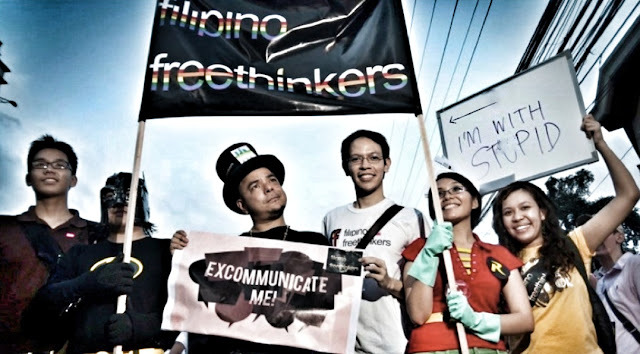 What's up with the Filipino Freethinkers, supposedly the Philippines' highest profile, most organised, and possibly largest atheist community? They were very active during the controversy surrounding the Reproductive Health Bill legislation as well as various activist initiatives related to gay rights. They also rallied behind Carlos Celdran when he was in hot water over his Damaso stunt. The contenders of Time’s most influential people were evaluated by looking at their global impact on social media and their overall ability to drive news. The local news first picked it up. Well now, so that's why the #BabaeAko mob were so adept at meeting the "overall ability to drive news" criterion. The Philippine corporate news media industry, if we recall, is renowned for the slant it routinely affords to the Philippine Opposition led by the Yellowtards. Activists keep referring to "Team Resistance". But does this "team" even exist? 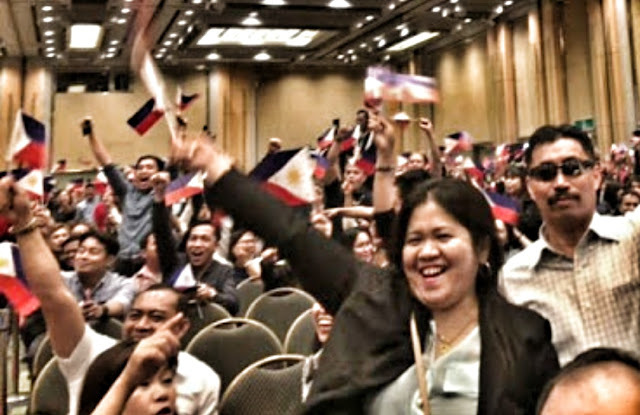 Recently, the Philippine Opposition has started to refer to itself as "Team Resistance". One wonders though, what exactly is it and what does it stand for? 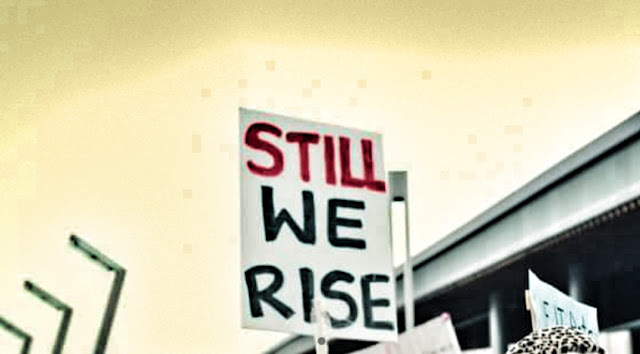 Perhaps, like everything else created by this saddest of Philippine "oppositions" Team Resistance is a mere figment of the imagination of people who imagine that some sort of "fight" is still being fought. For one thing, one would be hard-pressed to even define what the broader Philippine Opposition stands for. All they have is a common hatred for Philippine President Rodrigo Duterte. But there is something to be said about movements fuelled by hatred. It just doesn't sit well in a world where most progressive people aspire to move forward using positive energy. The Resistance, whatever the hell it is in the context of Philippine politics, does nothing but resist. Resisting is easy. 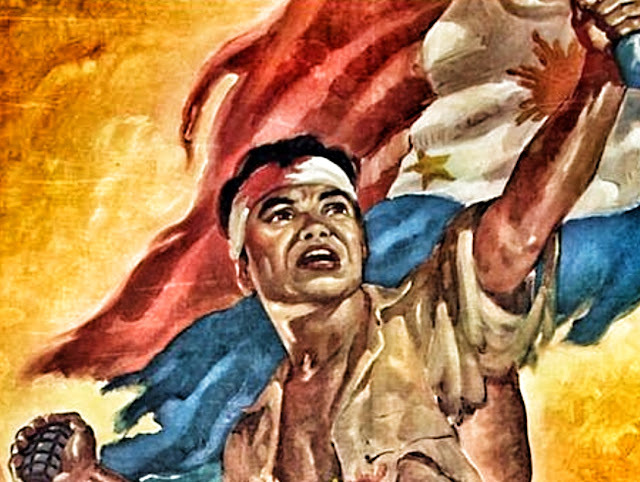 The more important thing to ask, however is this: What does the Philippine Opposition propel? 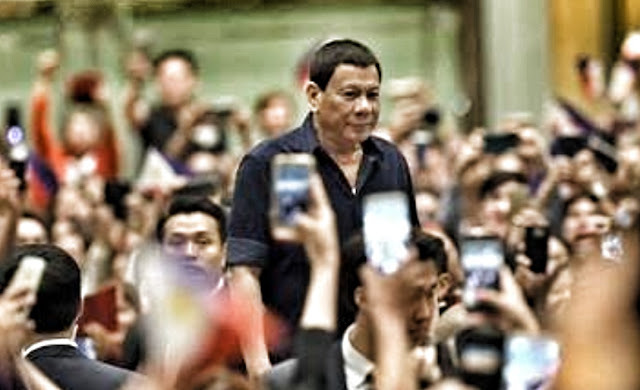 Lately, the chatter making waves amongst the "influencers" of the Philippine Opposition are various stocktakes of promises made by Philippine President Rodrigo Duterte and which ones he has so far kept. That's a nice topic for a lazy discussion, for what politician keeps his promises anyway, right? The bigger challenge for the Opposition (if going for bigger challenges is their thingy) is to come up with their own vision and demonstrate an ability to keep their eye on that ball once in power. That is what will differentiate them and that is what will separate the men from the boys. It is easy to watch and take pot shots. It is harder to envision and execute. So far, no major player in Philippine politics in recent history has demonstrated such a rare ability. Religion is man's natural longing for God. God has placed in our hearts a certain kind of restlessness that can only be cured if we rest in God. No. Religion is a social institution that applies governance over the manner people worship ans access their god. In the case of the Roman Catholic Church, there is scripture (its core charter) Canon Law, the body of legislation issued by Rome, and the clergy who implement and enforce these rules. As is evident in the above, the Roman Catholic religion is a governance entity. 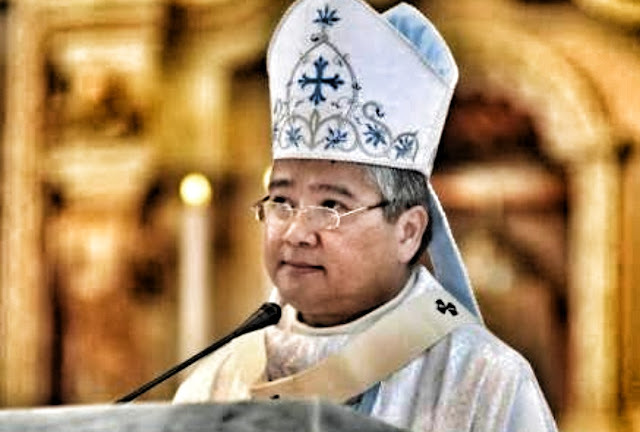 Worse, it is a governance entity that takes instructions from a foreign government in the application of said governance to Filipino Catholics. It is an instrument of modern imperialism. I was taught in the excellent Catholic school I was privileged enough to have been educated in that Original Sin is the sin humanity carried as a result of the fall of Adam and Eve at the Garden of Eden after they disobeyed God's commandment not to eat the Forbidden Fruit. Because this sin was an offense against God who is a perfect being, only a perfect gift from man to God could restore man's favour before God's eyes. This is where Jesus Christ comes into play. Born a man and then sacrificed to the Father, Christ, the Son of God and, by transitivity, himself a perfect being, was that perfect gift man finally delivered to God. 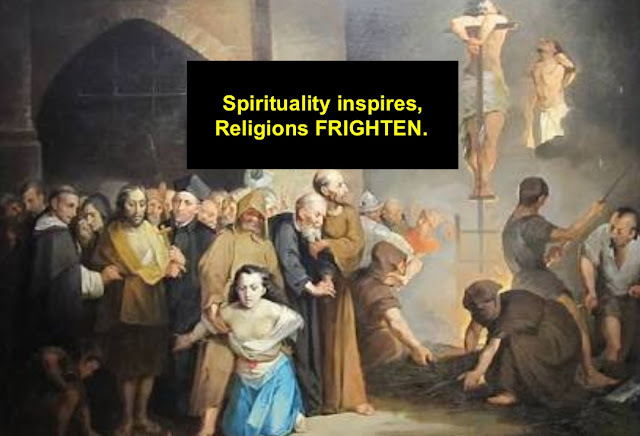 Truly spiritual or MERELY religious? Filipinos don't know the difference! Yellowtards still don't get it. 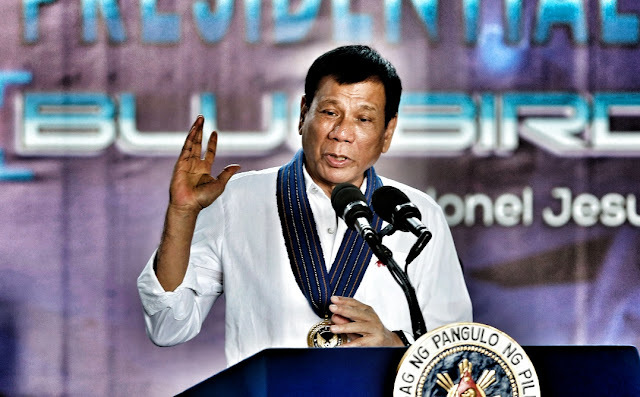 There is no evidence that President Rodrigo Duterte was criticising God himself. What he was criticising was the "God" fashioned by the Roman Catholic Church. 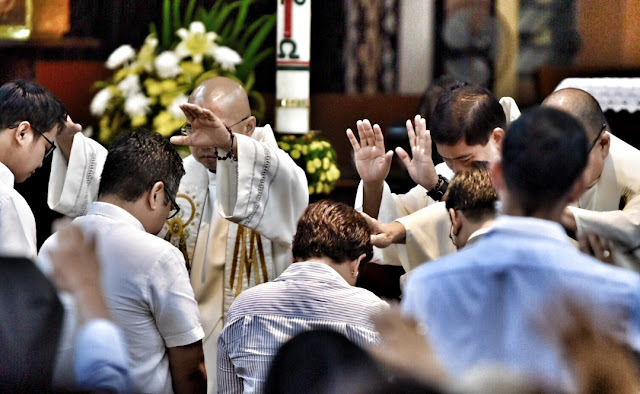 Filipinos know their "god" only through their Church. As such, they trust their Church to tell them who God really is. But because thinking is in short supply in the Philippines, most Filipinos cannot be bothered to fact check what their Church is telling them. "You created something perfect and then you think of an event that would tempt and destroy the quality of your work," he continued. The President, a Catholic, said he finds it preposterous that babies should be born with original sin. Because Roman Catholic dogma is so inconsistent and, well, dogmatic, it makes it really problematic to use Catholic teachings as a foundation for a modern political platform. Yet that does not stop the Philippine Opposition led by the Yellowtards from underpinning their pathetic challenge to the poltical establishment with a baffling close alliance with the Church. We can see the effects of this stubborn alliance with the Catholic Church in the hopelessly fragmented state of the Philippine Opposition. Their claim to be a liberal, Western-influenced bloc lacks credibility because of the conservatism inherent in this deference to the Catholic clergy. 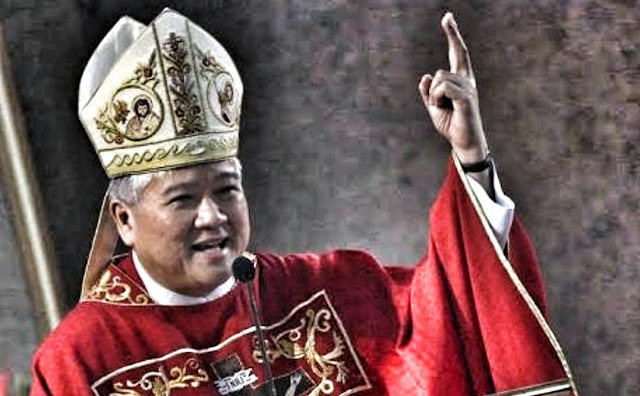 Their liberal advocacies, specifically gender equality and rights for homosexuals, are absolute antitheses to the teachings of the Catholic faith. Yet this does not seem to bother them one bit. The tambay are symptoms of a lazy and unimaginative society. Worse they are affronts to discipline. There is no excuse for youthful able-bodied people hanging around in a street corner doing nothing. 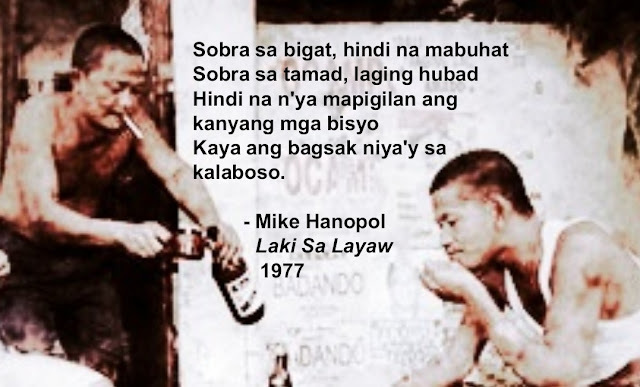 Ang taong lumaki sa layaw? If there is no paid work to be done, there will always be volunteer work to do. Volunteer work allows a young person to acquire skills and experience and provides him or her an ethic of commitment to completing tasks and taking responsibility. Hanging around doing nothing does nothing to or for anyone. Kaya ang bagsak niya'y sa kalaboso. 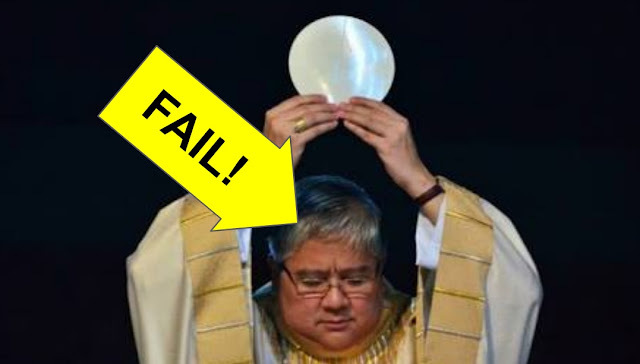 Philippine President Duterte takes the Roman Catholic Church to task on its FAKE ideas! It's a done deal in the First World but it is still an ongoing battle in the Catholic Third World. Babies born "guilty" and the universe and humanity being created by a superior being has long been relegated to the dustbin of historical curiosities. Not in the Philippines though where the the foreign-governed Roman Catholic Church rules a backward people backed by a supposedly infallible charter. What can be more complicated a concept than the idea that to gain power in a democracy, you need to win an election? Apparently for the Philippines' Opposition, there is lots to discuss about it -- everything except who can win an election for them and how to go about setting that person up for success at the polls. The question this guy needs to ask himself and the geniuses in his Yellowtard camp is simple. What exactly does it mean to "do everything in our power" to beat Marcos? To answer that question convincingly is where the thinking begins and where the shrill emotionalism ends. What does that say about the two men? 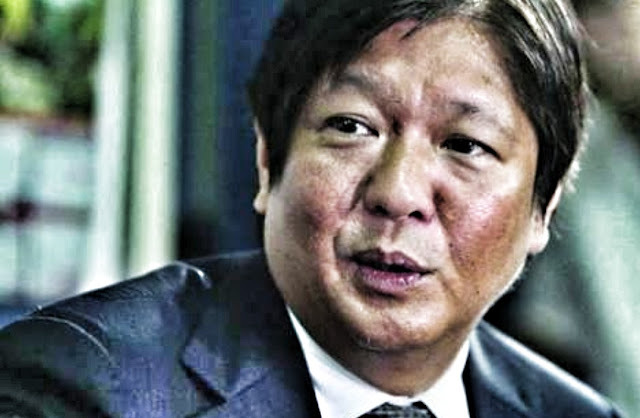 It shows that against the odds, without the benefit of executive power, and against the tide of public opinion, former Senator Bongbong Marcos achieved an end. Compare this to former President Benigno Simeon "BS" Aquino who, despite being the Philippines' most powerful man for six years, failed to conclusively solve the murder of his own father who was vastly more revered than Marcos. 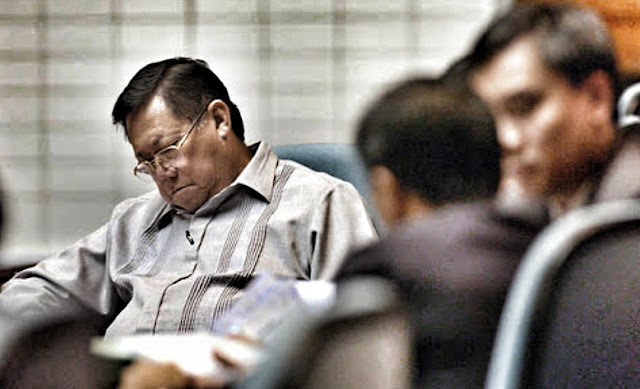 If Aquino or, for that matter, the broader community of Yellowtards could not bring closure to the enduring mystery of who really killed their top "hero", the late former Senator Benigno Aquino Jr, how could one even expect the Yellowtards to achieve bigger things that require formidable political resolve? Is justice "dead" in the Philippines? Yes it is. Has been since 1983. The Yellowtards keep clucking about how democracy "died" after the dead-final decision of the Supreme Court to void the appointment of now Never-had-been-chief-justice Lourdes Sereno. But because they are so selective in their idea of what it means to be a "just" society, they fail to realise the injustice within their own ranks. 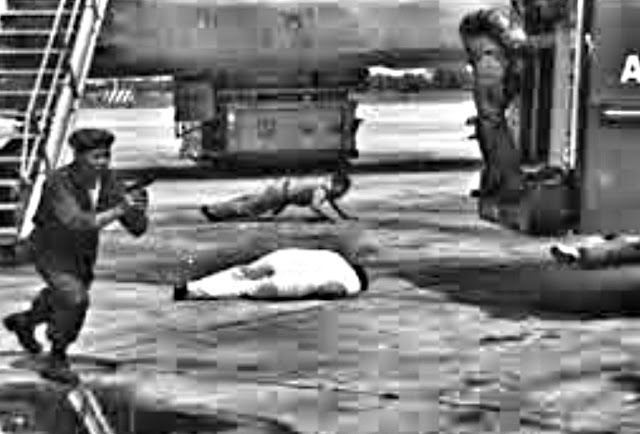 The most astounding slackery in the application of "justice" in the Philippines is how former President Benigno Simeon 'BS' Aquino III failed -- even as the most powerful man in the country at the time -- to solve the murder of his own father, the late former Senator and father of the Yellowtards, Benigno 'Ninoy' Aquino Jr. 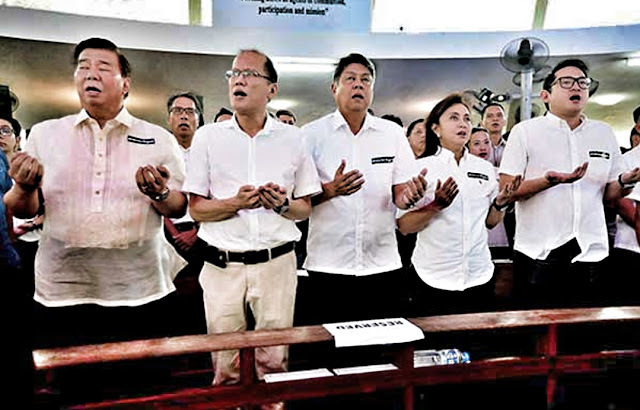 So before these Yellowtards issue another shrill cry of mourning for the "death" of "justice" in the Philippines, they should first spare a thought of how a son could fail his own father like no other. When Yellowtards say democracy is "dead" AGAIN, don't believe them! It has become such an overused slogan. "Democracy is dead". It's a shrill cry that comes from the Opposition (who, presumably, continue to be led by the Yellowtards) whenever they suffer a setback. It's as if they are saying that democracy lives solely for the purpose of Yellowtard wellbeing. What flies over the pointed heads of the Yellowtards is the simple fact that due process is working. It's just not working for them and their insidious agendas. These Yellowtards probably haven't read the ancient Aesop fable of the Boy Who Cried Wolf. According to this fable, a shepherd boy who kept shrieking that a wolf was attacking his flock eventually stopped being believed by the villagers who erstwhile had been coming to his aid. When a wolf actually did come to visit, his shrieks fell on deaf ears and he was eaten up along with his sheep. In its ruling granting Sister Fox's appeal, the DOJ says visa forfeiture proceedings have no legal basis; what is provided by the law and BI Rules is visa cancellation proceedings. Thus, BI ordered to commence the correct procedure (visa cancellation) vs Fox. In short, the Department of Justice is only clarifying; that's not the way to kick Fox out of the Philippines, THIS is the way. 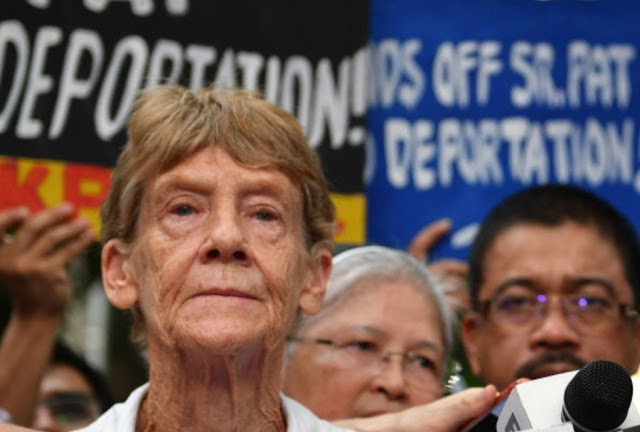 An earlier tweet by the Inquirer stated that the order to deport the Australian activist nun was "reversed" and pictures an ecstatic Fox. [Justice Secretary Menardo] Guevarra said while the missionary visa is valid, the case against her will be treated as one for visa cancellation, a procedure that is allowed by law. Is Leni Robredo the leader of the Opposition? If so, what is her strategy to get as many politicians in her slate elected to office? What is her election-winning strategy? As leader of the Opposition (presumably), does she have a planning horizon for her party that extends to 2022? If so, does she have some idea of who the presidential bet for 2022 would be? 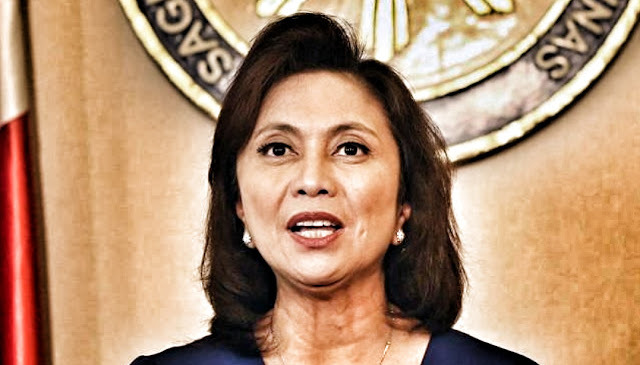 If Robredo does not see herself as leader of the Opposition, who would she endorse to lead it? Does she have an opinion on why the Opposition cannot seem to unite against what is clearly a popular incumbent? Supposing that Leni Robredo believes that the Opposition lacks unity, how does she propose to rectify that (assuming she steps up to the role of leader of the Opposition)? How does Robredo envision the Philippines would be like, say, five years from now? And what would she do to get to that envisioned state? There are many infrastructure investments that just need to be undertaken and are not subject to the same ROI computations of the sorts one would do if it was a private sector venture. The risk inherent in loans taken out to fund these can only be hedged by a collective resolve to make good on a commitment to make productive use of whatever was built using these funds. The alternative is one where fear and lack of confidence in the future overcomes any wherewithal to invest in large infrastructure projects. This is no different to taking out a loan to buy a house. At first, the loan payments look like a monumental challenge to service. 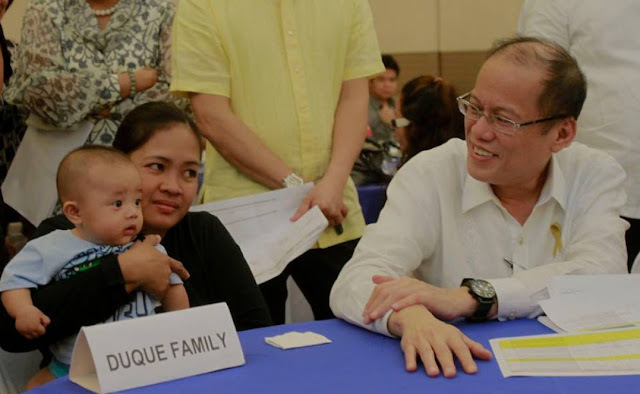 But most Filipino families will hunker down and make sure they make good on those payments and find ways to increase their household incomes to progressively reduce the initial financial stress. 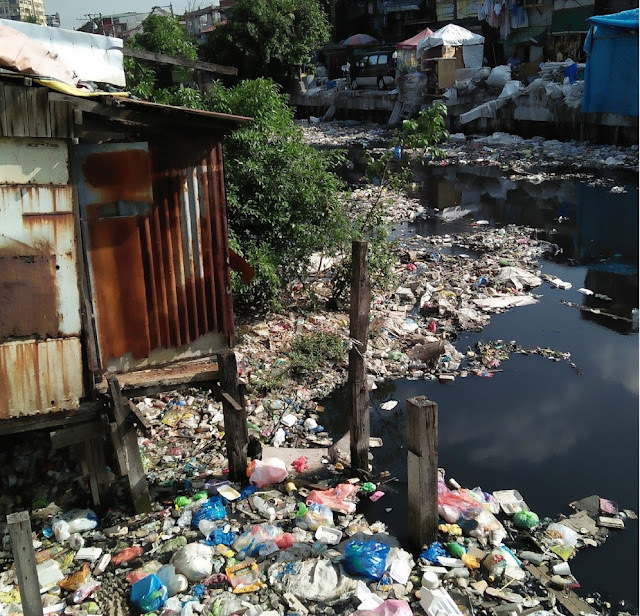 Whatever one would say about the Philippines'squatter infestation, the fact of their vast contribution to the already toxic environment of the country's big cities cannot be denied. Squatter colonies are not supported by modern infrastructure. 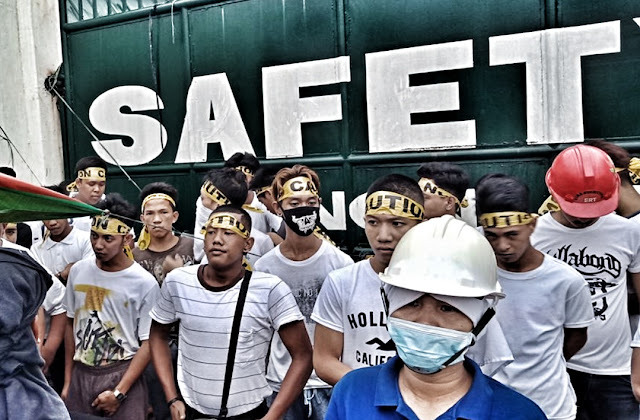 So they essentially lay waste to their surroundings and present a health and safety risk to all decent Filipino taxpayers. Squatters embody a multilayered cancerous edifice of social injustice to all that is law-abiding and just. They are property thieves and urban blighters. They undermine every effort to modernise and clean up the mess accumulated from years of social dysfunction. Most disturbing of all, they symbolise the impoverished thinking that prevents a modern secular ethic of personal accountability that is a badly-needed intellectual foundation for social mobility. As such, squatters, and the politicians who coddle and pander to them present the biggest roadblocks to the advancement of Philippine society. 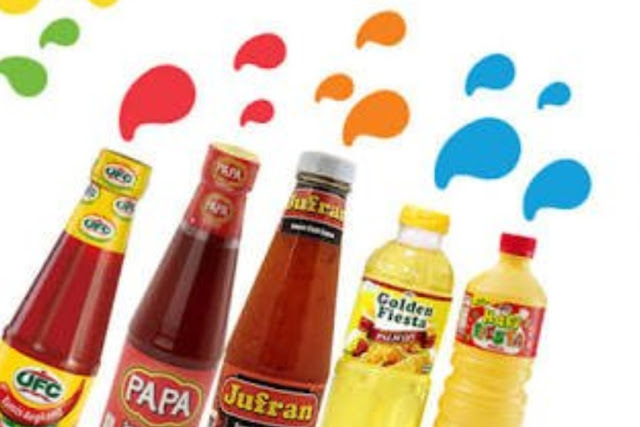 Netizens monitoring the workers' strike at a Nutriasia factory have criticised the slow response of the news services of the Philippines' big corporate media networks to the incident. One noted that even when reporters arrived at the scene, they referred the site of the strike using the generic term "a factory" and did not mention the name of its owner. 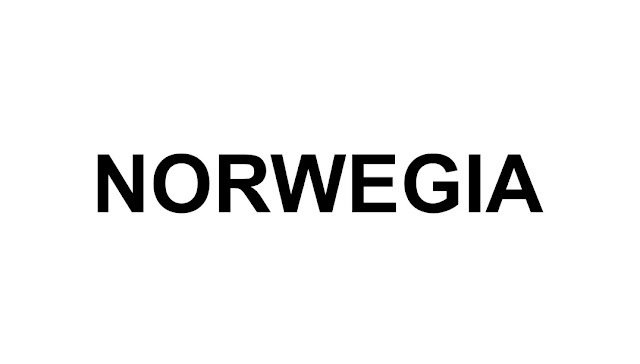 Norway is to "Norwegia" as Broadway is to "Broadwegia". There are many easy ways to "weigh in" on the circus surrounding the latest comms gaffe of the Presidential Communications Operations Office (PCOO). There's not much to work with though. It is what it is. And Filipinos find it funny. It's the sort of one-dimensional humour that makes producing hit low-brow comedy movies in the Philippines easy pickins for the Philippines' Big Media industry. A movie of the same title. 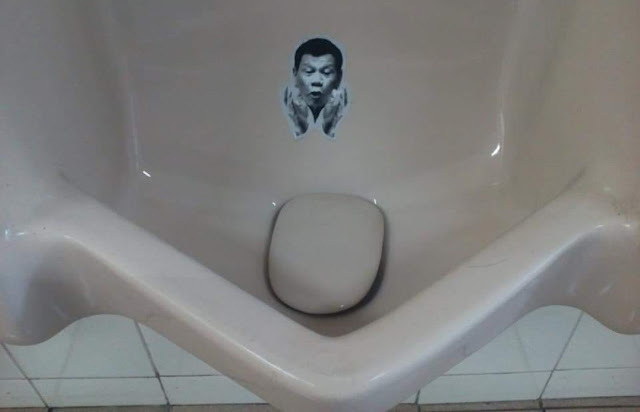 Now there's an idea there possibly worth millions of pesos. Who should star in it? Watch for it. Chinese TV shows to be shown in the Philippines. 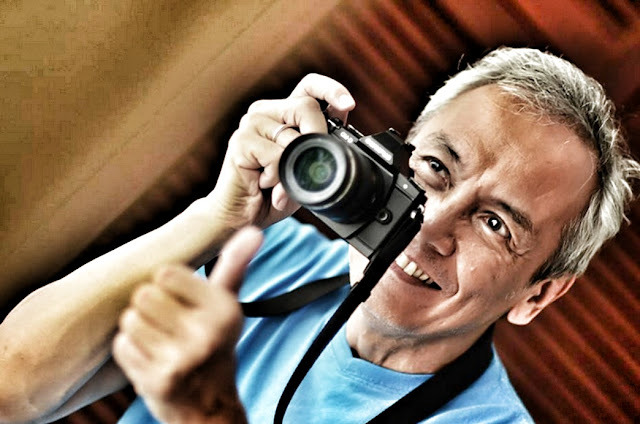 Jim Paredes believes it's a sinister plot. 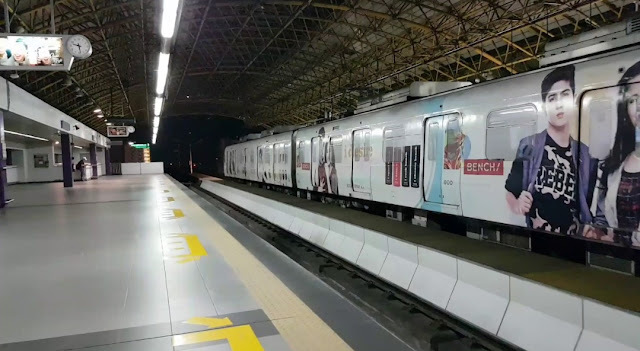 According to Jim Paredes, it's a sign that Filipinos are being prepped for the imagined eventuality of the Philippines becoming a "Chinese province". 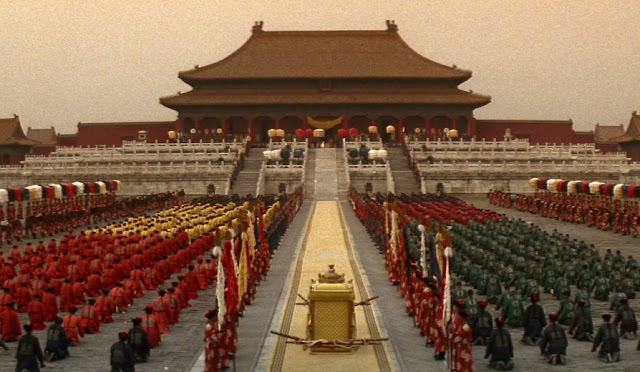 Yet Paredes fails to realise that back in the 1970s and early 1980s, Chinese TV shows were shown on Philippine television every weekend. There was also the hit Chinese series The Twins which was aired on prime time. Indeed, the mid- to late-1970s also saw the heyday of Japanese robot and other anime TV shows. Applying the same brain Jim Paredes applies, one could say the Philippines had been colonised by either the Chinese or the Japanese back then. But we don't even need to look that far back. Already, Korean music and TV shows compete head to head with local fare today. Is the Philippines also being prepped to be a Korean "province"? “That’s a family decision obviously. Si Kris, if she decides to run, I think she’d win,” he said in an interview on The Chiefs tv show. Bam said Kris would be “very welcome” in the Senate. 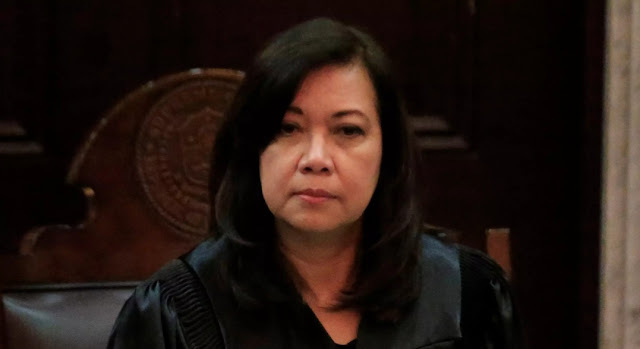 “Honestly, kung itutuloy niya itong paninindigan laban sa ginagawa ng mga administrasyon, I think she’d be very welcome in the Senate,” Bam said. How exactly does standing in the rain make Leni Robredo a "great" leader? 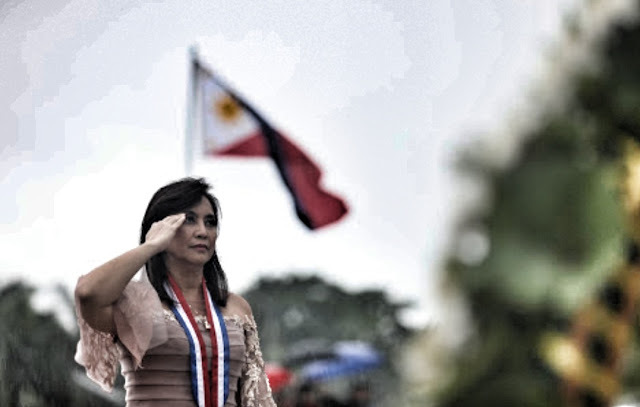 From the way Yellowtards are gushing over images of "vice president" Leni Robredo standing in salute under the pouring rain in today's "Independence Day" rights at the Rizal Monument at the Luneta, you'd think Robredo was a great conqueror or saviour of the "oppressed" of some sort. But as far as measurable achievement goes, one would be hard-pressed to hang any real medals on the presumptive "vice president" of the Philippines. What exactly has Robredo achieved? This is classic "basang sisiw" appeal at work. In this case literally. The thing with standing in the rain in salute is that anyone can do it. Back in the day, hundreds of thousands of Filipino students taking Citizens' Military Training at one time or another did it. Perhaps it could be because this is a generation of Filipino youth who have never experienced doing military drills under the rain on a Saturday morning. Some people need a better understanding of the word “dictator”. It's difficult to get how they can accuse Duterte of being a dictator while being safe to criticise him. But the worst thing about Yellowtards is how they habitually stake a claim on the latest trending hero or occassion as one that only they exclusively have the right to associate with. And once they had drawn an imaginary yellow dotted line around said artifact, they then proceed to wax righteous about their political agenda using that artifact as a platform. Don't be fooled by Kris Aquino's backpedaling on her previously rabid attack versus Assistant Secretary Mocha Uson. 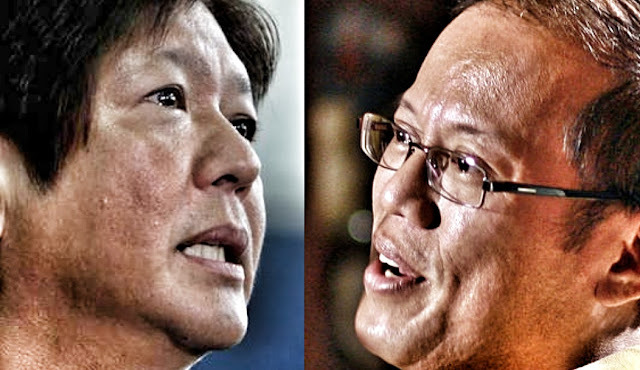 It is likely to be a survival tactic after finding out that she is being given a run for the popularity money by Uson who has so far demonstrated a stable base of supporters compared to the fickle lot who constitute Aquino's fan base. Why is the name "Inday" associated with Filipino servants? That's because "Inday" is a common Visayan name as "activist" Inday Espina Varona points out. 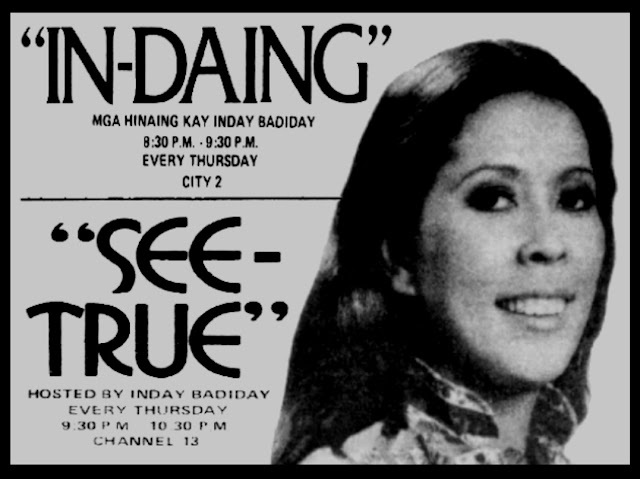 If you think Inday is a disparaging term, you probably need to check your own worldview there :) may TV shows ba na tawag sa kasambahay ay Inday? Eh sa madami talaga kaming Bisaya na Inday ang nickname — across classes. I remember a year there were three indays at home. This means the name "Inday" just happens to be a victim of statistical emergence. It is, after all, a fact that many Visayans migrated to Metro Manila to work as servants. And because Metro Manila is the cultural capital of the Philippines, mainstream media and pop entertainment producers merely picked up the common conception. He said: "If there are enough women to... Well I think if all women here would sign a petition for me to resign, I will resign." 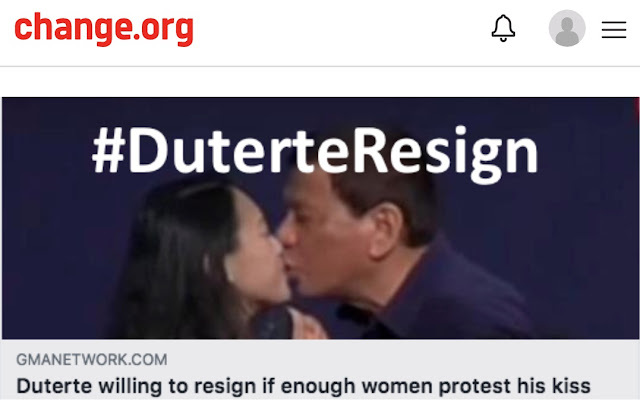 If you think the things that President Duterte does and say against women are WRONG and NEVER ACCEPTABLE or should NEVER BE CONSIDERED AS JUST A JOKE or NEVER A PART OF FILIPINO CULTURE, please sign this petition. 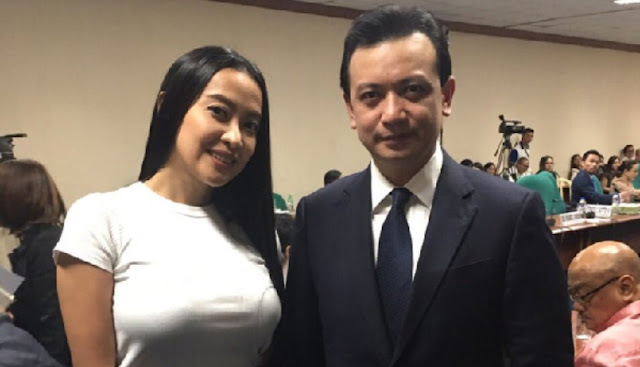 Mocha Uson crushes Kris Aquino in @GMAnews online poll! 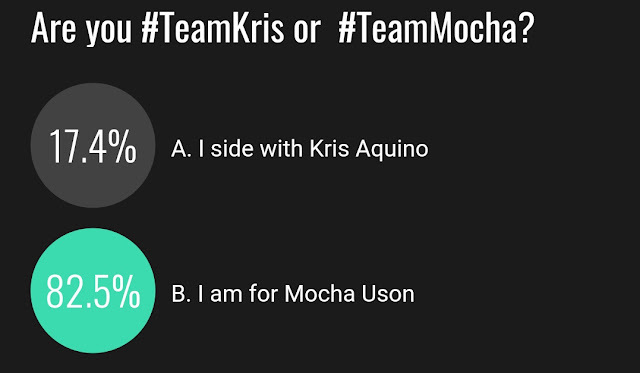 An online poll ran by GMA News where Netizens were asked #TeamKris or #TeamMocha: Which side are you on? 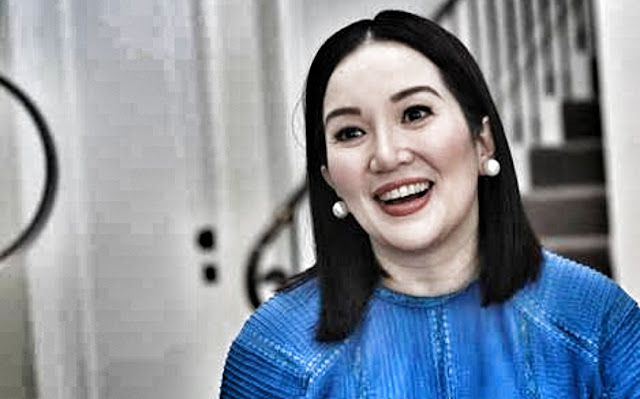 has so far yielded a decisive blow to Queen of All Philippine Media Kris Aquino. As of this writing, #TeamKris has been crushed by 82.5% of respondents to the poll who voted in favour of Assistant Secretary Mocha Uson. #BabaeAko "activist" @MrsUnlawyer inciting followers to inflict violent acts against Mocha Uson! 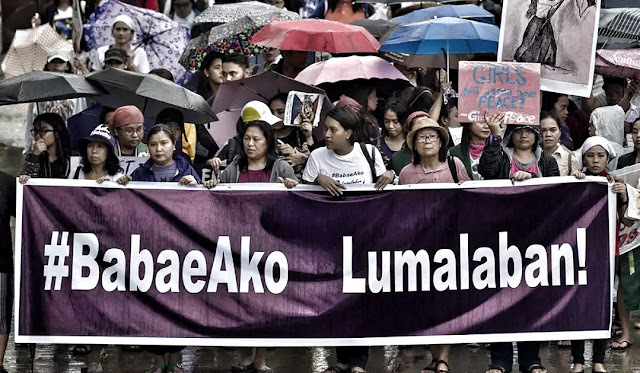 It's been long worked out by a lot of Filipinos that the "#BabaeAko" feminist "advocacy" is really just a partisan powow in disguise. Indeed, it was easy to see then and it is even easier to see now seeing how this Twitter Netizen had issued an inflammatory "poll" that gives respondents options limited only to aggressive and abusive acts against Assistant Secretary Mocha Uson to choose from given the hypothetical situation she puts forth of one happening to bump into Uson sometime in the future. This quaint Twitter stunt would have been simply amusing for its utter lack of class if it weren't apparent that the followers of this character consist mainly of rabid critics of the administration of Philippine President Rodrigo Duterte. As such, it is not entirely implausible that one of these could actually act on these prompts in real life. Duterte’s people say this is his “realness,” his “pagiging totoong tao” shining through. But all that tells us is that Duterte’s real self is a chauvinist misogynist pig, who looks down on women, who does not see us as equals, who does not respect us as human beings. This is the President of the Philippines, categorically and unequivocally taking a stand against all women as he normalizes a culture of gender abuse and sexual violence. This is Duterte making the lives of all women less safe by the day, as men are made to believe they can have their way with us, in whatever context. The repercussions of Duterte’s actions, left unchecked and unchanged, will resonate for generations. Read the rest of the "statement" here. "Senator" Antonio Trillanes's defensiveness about his Senate absence record raises even more questions! Not surprisingly, "senator" Antonio Trillanes has reportedly gone epically defensive about his sorry record of attendance in Senate sessions. “Meron akong official business when I was out so covered ‘yan by a travel authority. So technically, that is not counted as an absence. But, at the end of the day ginagawa ko yung trabaho ko,” he said. “Given the opportunity na imbestigahan ‘yung mga kalabisan nitong administrasyon na ito, ginagawa ko. Sa ganitong klaseng administrasyon na baluktot, ‘yun ang importanteng trabaho ng Senado [ma] apparently hindi na namin ginagawa,” Trillanes added. But is it the job of Philippine "senators" to be undertaking "investigations"? Last we heard, a senator's job is to legislate. The job of "investigation" is one already undertaken by the various law enforcement agencies who are actually responsible for investigating stuff. Yes, Kris Aquino should seek public office. If she runs in a future election she will likely win. That's because she is popular. In a democracy, after all, popularity wins. It's rule of the majority, and majority of Filipinos love Kris Aquino. Would the Yellowtard "influencers" who worship her father, "national hero" Ninoy Aquino support Kris's candidacy? That's an interesting question to mull over. 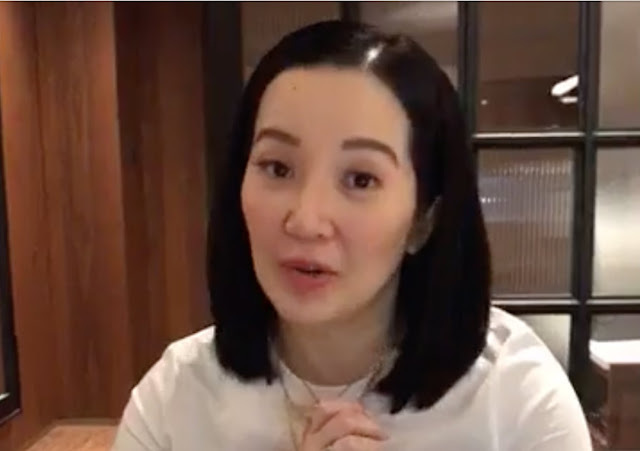 At the moment, there is an on-going circus involving a war of words and social media posts between Kris Aquino and Assistant Secretary Mocha Uson. It's a good show - because both are entertainers. The mob is entertained and the media is raking it in. The Yellowtards are, of course, on Kris's side and swear by the righteousness of every word she spews. A woman knows when she’s being abused. She knows her body after all. There’s no victim here. If the yellows perception of the incident is full of malice, then we have a troubled, confused opposition. This incident exposed their hypocrisy. It’s a fake outrage! 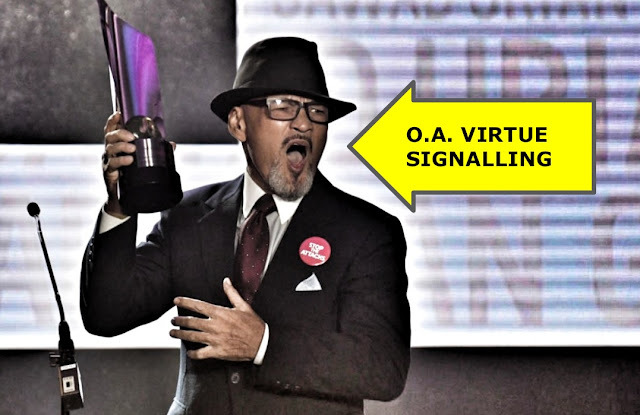 Opposition "influencers" presume to know better than Bea Kim who, despite categorically denying on record that she had no issues with kissing Philippine President Rodrigo Duterte, continue to insist that she be regarded as a "victim". Who is really doing the victimising here? The Yellowtards seem to subsist on a supply of manufactured "victims" to prop up their lame irrelevant cause. This is yet another instance where they scrounge for the next fix. 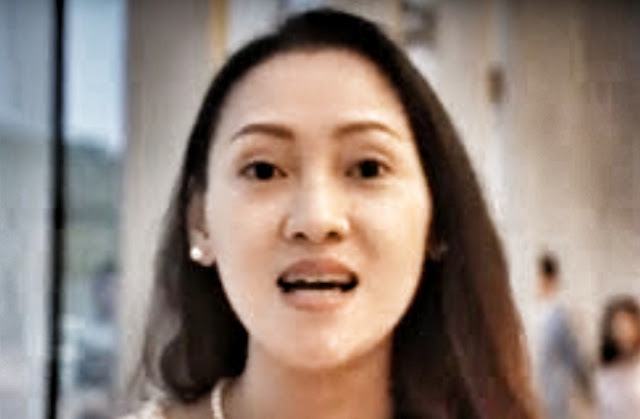 Opposition "influencer" Noemi Dado presumes to know better than Bea Kim, the woman Philippine President Rodrigo Duterte kissed on the lips as part of a meet-and-greet with OFWs in South Korea. “Yung kiss, ginawa lang naming pampakilig sa audience,” she said. “Promise, para sa akin at sa kanya (President Duterte), walang ibig sabihin yon.” People like Dado, unfortunately, prefer to stick to their beliefs even in light of the facts. Facts, it seems, don't matter to them. ...the power differential made all the difference. The woman’s “consent” is imperfect: it was crowd-coaxed, cajoled, coerced. Her words afterwards were reassurance—to herself, not least. Perhaps. But we may as well apply that to the way Filipinos are made to decide who to choose to be their leaders and representatives every election day. Just like this instance, consent during elections is exacted of Filipino voters under similar circumstances in the heat of herd mentalities during campaign rallies and overpowering synchronicity amidst the din of slogan chants on the campaign trail.